Title: Dr. Strangelove. Edition: 1st edition, black Roxie Variant printers proof edition, hand signed and numbered by the artist out of only 15 printed! Featured artists are as pictured - Kendrick Lamar, Sam Smith, Bruno Mars, The Weekend, Lady Gaga and Carrie Underwood. Witness Greatness! 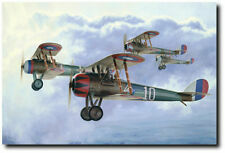 As one of four squadrons making up the first pursuit group, the 94th arrived in France in early 1918. For their first few months of service the unit was equipped with the Nieuport 28, one of the most attractive allied aircraft of the war. Title: Dr. Strangelove. Venue: Castro Theatre. Artist: Sam Smith. Year: 2013. 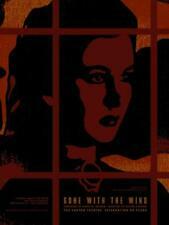 Type: screen print. 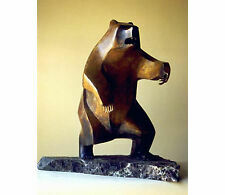 The brown bear was one of the Celtic power animals. You are buying this NEW print. United States. This promotional print was officially commissioned for a screening at the historic Castro Theatre in San Francisco in celebration of their 90th Anniversary. 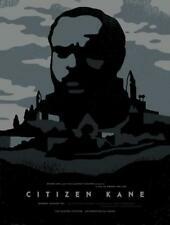 Sam Smith - "Citizen Kane". limited edition silk screen print. This promotional print was officially commissioned for a screening at the historic Castro Theatre in San Francisco in celebration of their 90th Anniversary. Sam Smith - "Gone with the Wind". limited edition silk screen print. This can vary slightly. Mint Condition. By default you will be required to sign for the parcel. Let us know if you would prefer the parcel to be left in a safe place. It seem real and comfortable touch feel. We will reply to you within 24hours. Q: When can I receive my goods?. A: Yes, we can print on High Glossy Silk Canvas, Photopaper. Q: Can you print on the other material?. It seem real and comfortable touch feel. We will reply to you within 24hours. A: Yes, we can print on High Glossy Silk Canvas, Photopaper. Q: Can you print on the other material?. 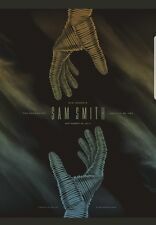 SAM SMITH 24x36 poster DISCLOSURE LATCH GRAMMY STAY WITH ME LONELY HOUR NEW!!!!! At the 2015 Brit Awards, he won the awards for British Breakthrough Act and Global Success. In December 2013, he was nominated for the 2014 Brit Critics' Choice Award and the BBC's Sound of 2014 poll, both of which he won.